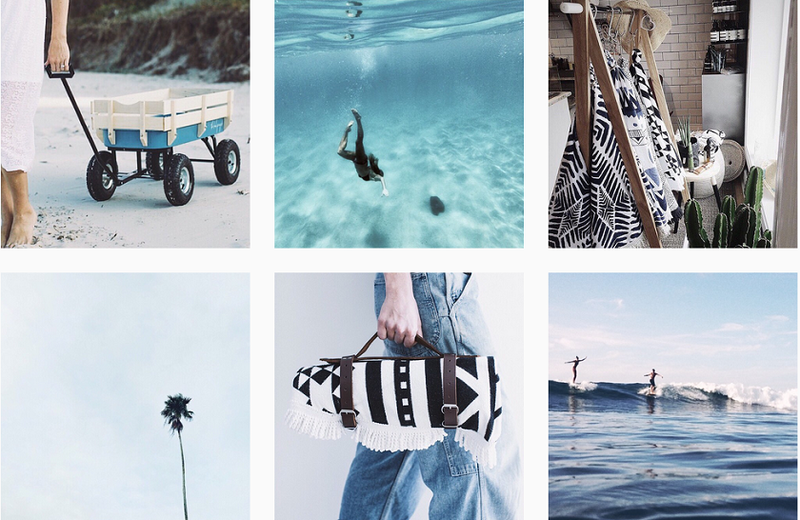 If you like the beach, are a follower of fashion and are an Instagram enthusiast, than chances are that you have come across The Original Roundie. You know! 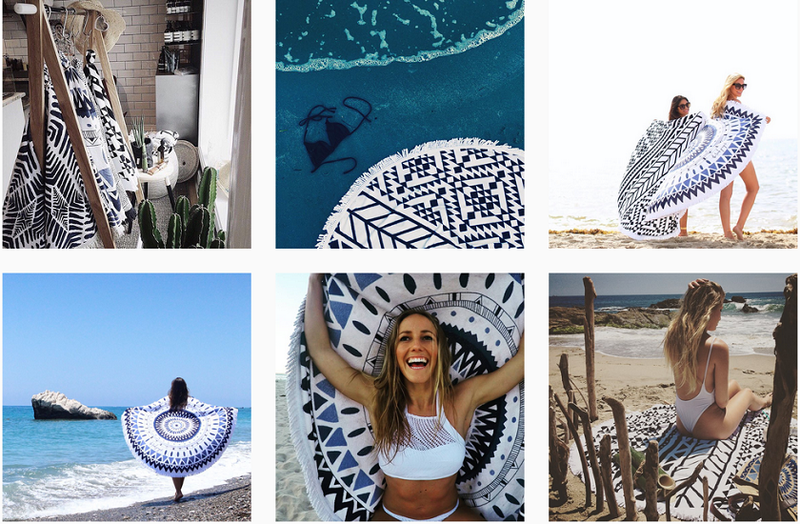 Those beautiful round beach throws that are as useful as they are photogenic have been spotted adorning the Instagram of some major fashion bloggers and stylists. With their beautiful ethnic prints, The Original Roundie really stands out as the most stylish beach or poolside accessory you can have. It’s no surprise that suddenly the roundie has been omnipresent in social media. 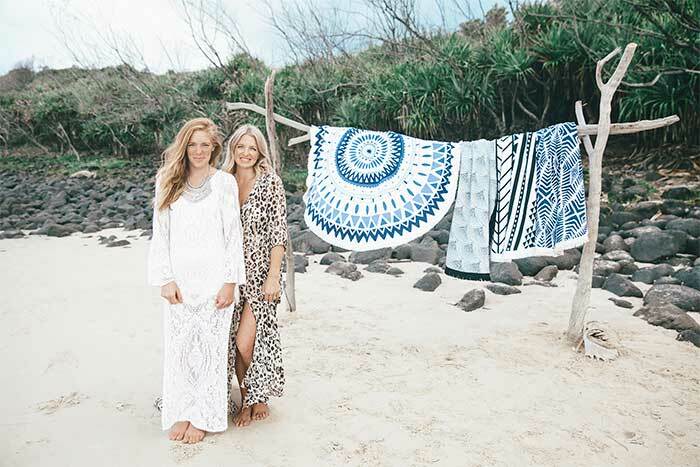 Made by The Beach People sisters Emma Henderson and Victoria Beattle, their first summer in production saw their flagship product sell out completely in their native Australia. Now the sisters are on a mission to build a “community of like-minded sea lovers” around the world. In 2013 they took the plunge and launched The Beach People and The Original Roundie, which promptly sold out. Since then they have expanded their offering to included jute beach bags, prints and even a beach cart! It might be this simplicity that is so appealing. With a clear message and small range of coherent products, the company has been growing steadily in the two short years since it was founded. 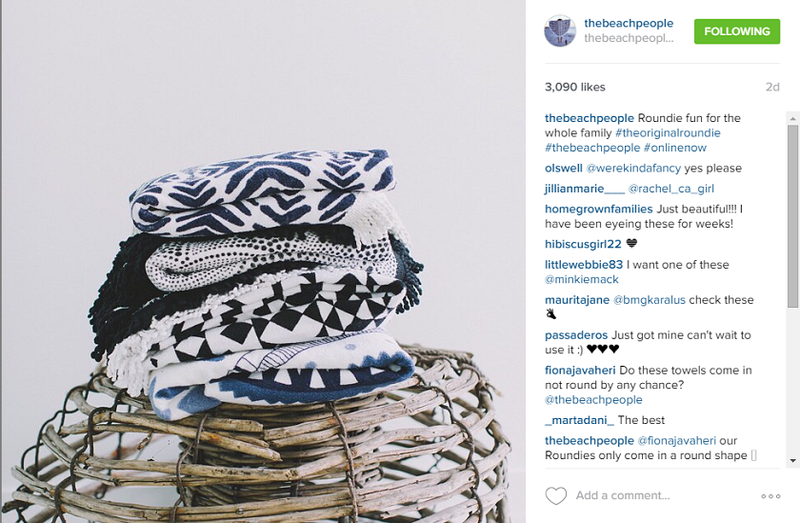 Part of The Beach People’s rapid rise to success has been their phenomenally successful social media campaigns. Today their main account on Instagram has over 217 thousand followers, and each stylish picture of their products gets thousands of likes. Even their hashtags are booming, there are close to three thousand posts featuring #TheOrigianlRoundie, and it makes for some sweet viewing. Their products are really made for a platform like social media because there are completely unique, totally recognisable and so darn good looking! And even though its winter in The Beach People’s native Australia right now, the work never stops. Victoria tells me that a new collection of Roundies is in the pipeline as well as new products. I love the beach. I was born on the beach. BUT, I have never looked even half as glamorous on the sand as half of Roundie owners on Instagram. And to me that is the coolest thing about The Beach People; their products are simple, useful, and practical but they immediately lift any basic beach ensemble. Bikini, Marisya, £200. 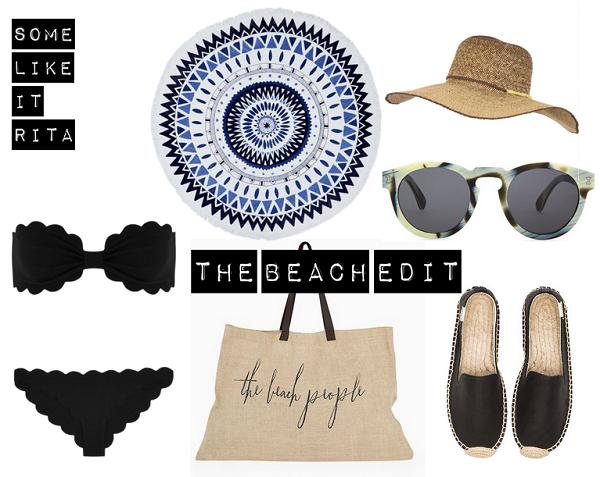 The Majorelle Roundie, The Beach People, AUS$ 99. Jute Bag, The Beach People, AUS$22. Hat, Billabong, £19. Sunglasses, Illesteva, £120. Espadrilles, Soludos, £61. I really your writings and am following you on instagram too. Hope I can make it big someday like you!